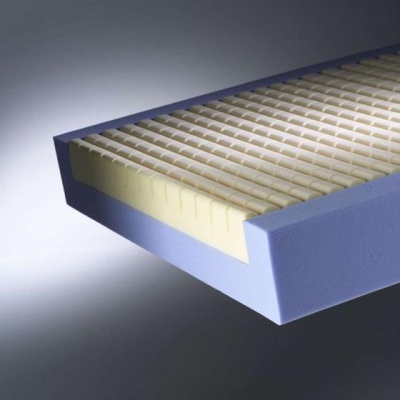 For patients with significant risk of pressure ulcer development, a high-qulaity pressure relief mattress is needed to effectively distribute weight and provide comfort. 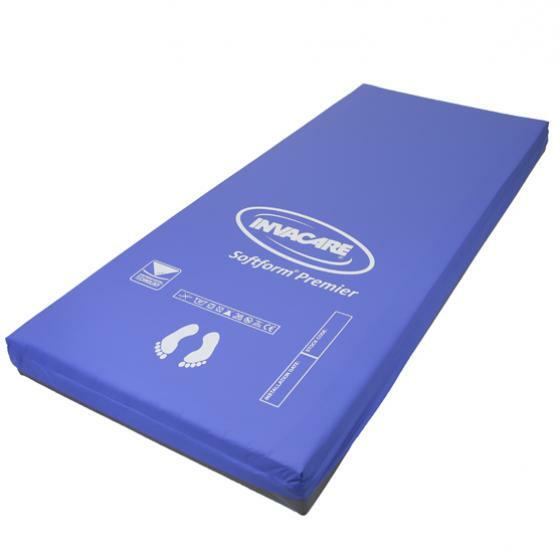 The Invacare Softform Premier Pressure Relief Mattress is made with clinically proven high specification foam with a contoured cut and castellated cells, allowing it to significantly reduce pressure and provide high levels of comfort. These features make it suitable for pressure relief for patients at very high risk of pressure sore development. This mattress is available in three sizes, each supplied with a cover. Select your desired option using the drop-down menu above. The Softform Premier is suitable for those considered to be at very high risk of developing pressure ulcers. The mattress redistributes pressure throughout the whole body to minimise the amount of pressure focusing on one part. This redistribution helps to reduce friction and shear, which in turn reduces the risk of developing bedsores and ulcers. This mattress features unique contoured insert foam with teardrop cut castellated cells. These cells move independently with the user's body, reducing shear and friction forces while helping to effectively distribute pressure throughout the mattress. The insert is made with non-glued construction, allowing for excellent conformity when used with a profiling mattress. The non-glued castellated design allows to flow freely between the castellated cells, cooling the patient as they lay down. This air flow contributes to a healthy microclimate, reducing moisture that can exacerbate friction and pressure sore risk. The core of this mattress is cut into a single piece "U" shape, providing excellent support to the patient. This results in effective side-wall support, offering safety to the patient and reducing the risk of rolling. The robust foam base under the core prevents the mattress bottoming out, elongating its life and improving support. The cover of this mattress features a flap down the side to protect the zip, reducing possible fluid ingress and foam contamination. The zip is welded and covered with a flange, further protecting it from fluids, providing maximum infection control. The cover is zipped around all on all four sides, aiding both inspection and replacement. Strikethrough cover: The single version of this mattress is supplied with a strikethrough resistant cover, preventing the breakdown of the cover that can often cause core damage. Specially coated, this cover will greatly reduce care costs and cleaning times. Waterproof cover: The double and king versions of this mattress are supplied with a multi-stretch, waterproof cover, zipped on three sides. 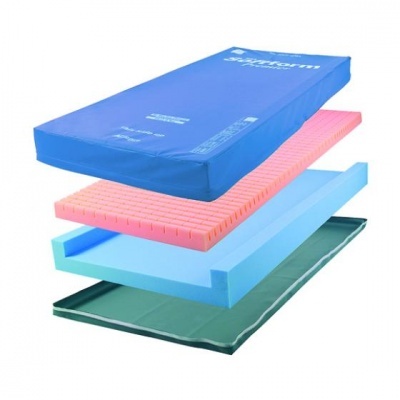 This cover provides protection to the mattress and comfort for the patient. Please note: This mattress is available in custom sizes upon request. To order a custom size, contact our Customer Care Team at 020 7501 0592.